Asbestos Awareness Week takes place each year at the beginning of April. In 2014, the 10th Annual Asbestos Awareness Week ran from April 1- April 7. Asbestos Awareness Week is presented by the Asbestos Disease Awareness Organization (ADAO) and it involves a multi-pronged campaign designed to both raise awareness of asbestos-related medical problems and to prevent further exposure in the future that could have deadly effects. 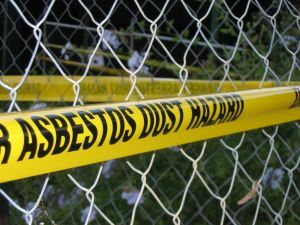 Drawing attention to the problems of asbestos is important because many people are unaware that this deadly substance still exists in common products and may be found in as many as 80 percent of older buildings built before the mid-1970’s. Exposure to asbestos has serious potential consequences and could cause a rare cancer called mesothelioma, as well as lung cancer, asbestosis and other medical conditions. Victims can take action with the help of a Boston mesothelioma lawyer, but hopefully with broader awareness, fewer people will be exposed and get sick. A Candlelight Vigil for asbestos-victims as well as a call for a worldwide asbestos ban. Personal stories from “Mesothelioma Warriors” on online websites and blogs. The presentation of a “Toolkit for the Elimination of Asbestos-Related Diseases” . A statement from the acting U.S. Surgeon General on asbestos dangers. The campaign is important because the United States and Canada have not yet banned asbestos products even through more than 50 countries have. Furthermore, around 107,0000 people worldwide die each year as a direct result of asbestos-related illnesses. The United States Senate officially established Asbestos Awareness Week when Senate Resolution 336 was passed on January 16. The Senate action was led by Senator Max Baucus from Montana, which is the home of Libby where a health emergency was declared by the Environmental Protection Agency. Vermiculite, a mineral that is used in insulation, was mined in Libby for more than 30 years and residents and miners suffered daily exposure to asbestos during that time period. The mining of this toxic material and the widespread asbestos-related illnesses that this caused contributed to the bankruptcy of W.R. Grace & Co, which was responsible for cleanup costs for the release of toxic asbestos into the environment. W.R. Grace & Co. is not the first company driven into bankruptcy by asbestos, and many enterprises that were involved in some way in the asbestos industry are no longer solvent. As a result, special funds have been set up to compensate asbestos victims in cases where the company responsible for their illnesses is not able to provide money for medical treatments and other losses. Hopefully, with Asbestos awareness week, fewer people will suffer exposure and resulting loss and thus the number of claims, injuries and deaths will drop in upcoming years.